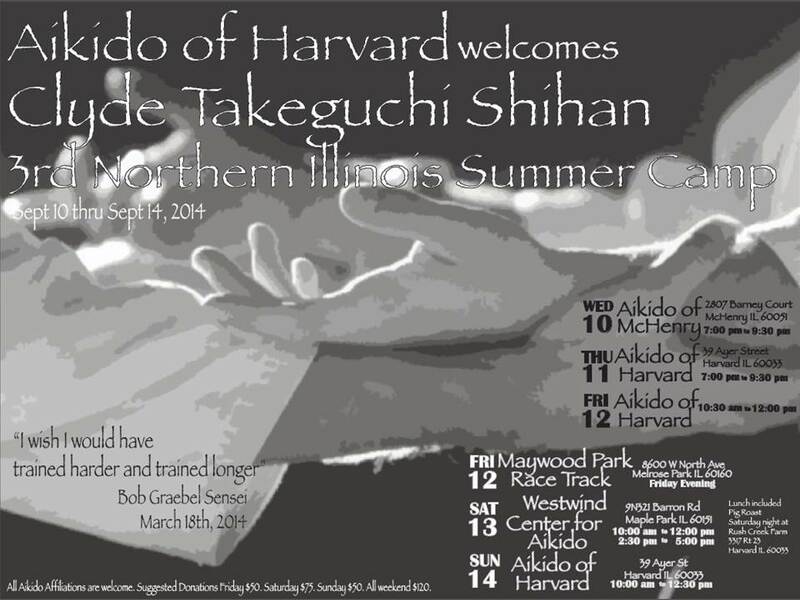 Takeguchi Shihan will be in the area from Sept. 10-14, 2014, per the flyer below. Come and learn from a true Aikido treasure! Bonus: a night at Maywood Park Race Track watching Team Leonard.